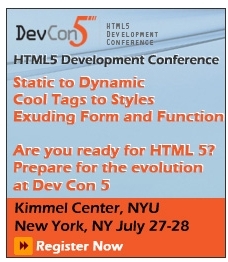 I don't know if this is the kind of thing that we can do anything about, but the ad I just saw for DevCon5 looks like they printed it out, crumpled it up, laid it on a table, and took a picture with a cell phone camera. Interesting. 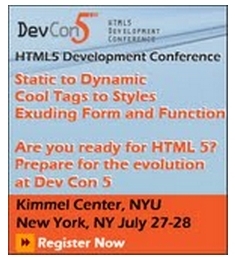 It turned out the source file being used for this ad had more than one sized rendering in the image file. When viewed standalone, the image looked as intended. However, when viewed in the browser (some browsers? all browsers?) within the div for the sidebar ad on the page, the browser was taking the smaller thumbnail version and scaling it up to the full size of the div. End Result: Yuck! We've since updated the image file on the ad server to include only the full resolution rendering. The ad should now appear correctly. Not the answer you're looking for? Browse other questions tagged discussion advertising .